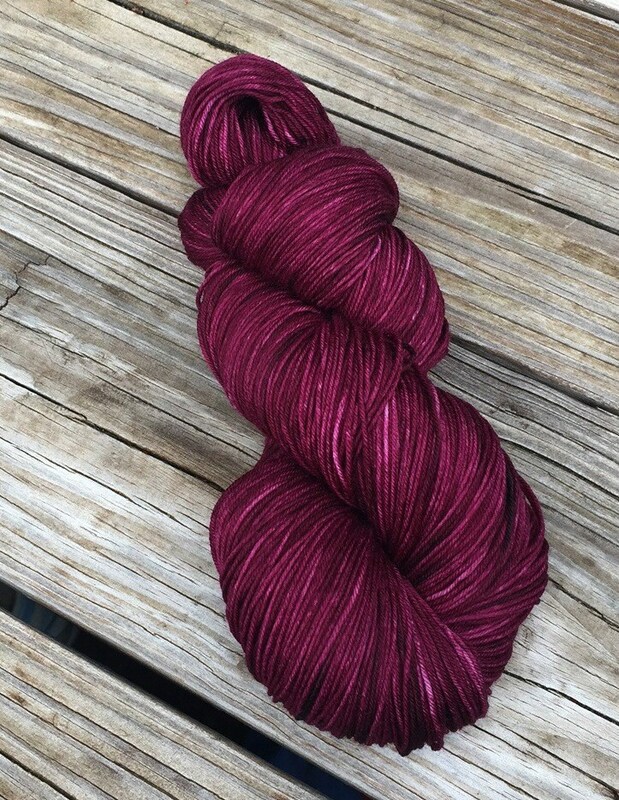 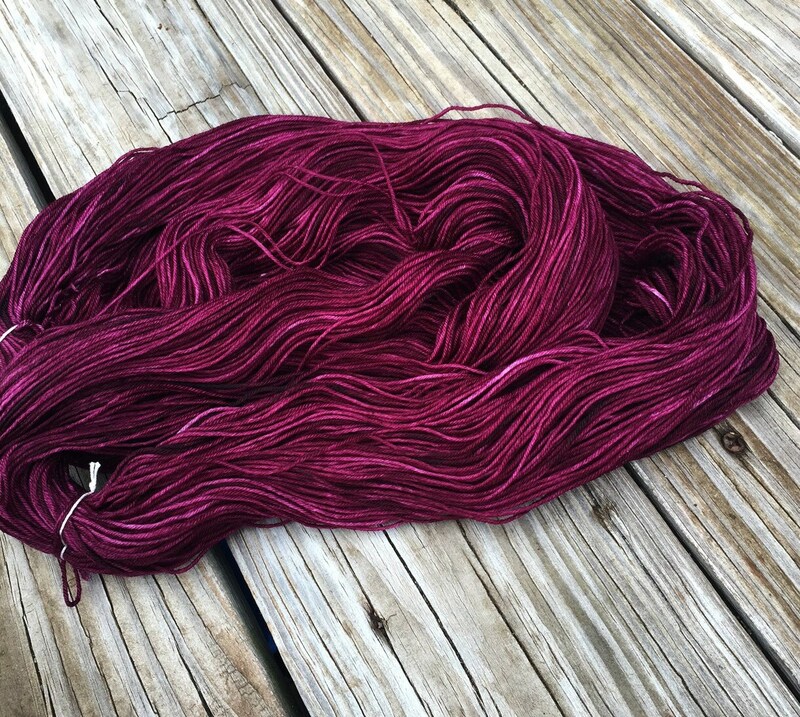 I dyed this yarn with professional acid dyes in colors of mysterious raspberry reddish-purply awesomeness. 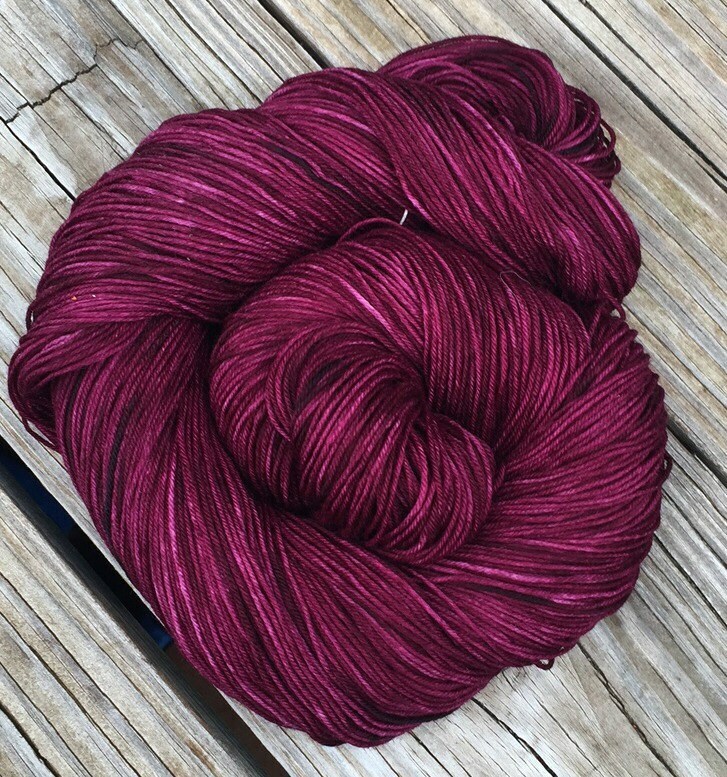 It is mesmerizing, much like the Sirens of the Sea that would sing their songs to lure sailors to crash against the rocks. 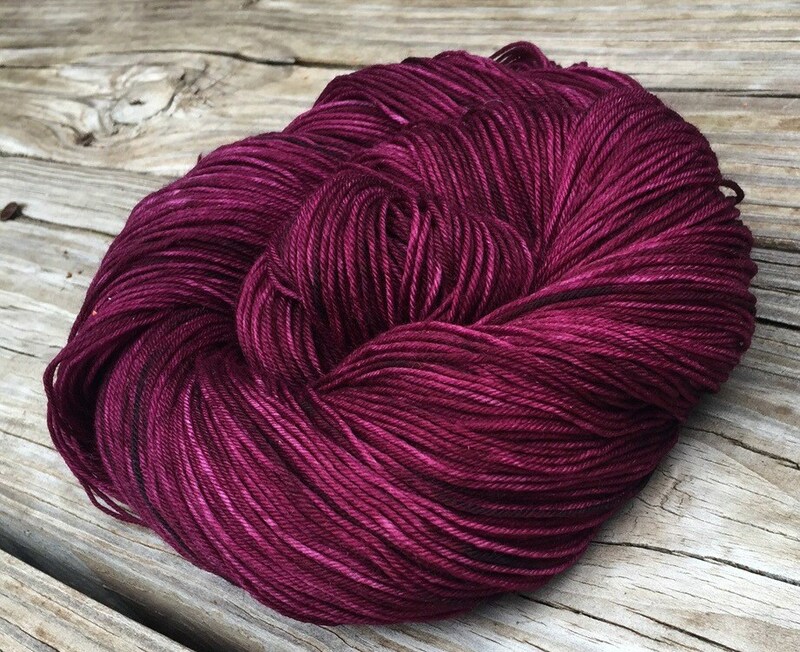 Can you avoid the dangers and yet enjoy the treasures of this yarn?